This is my first tattoo. It's on my left arm. 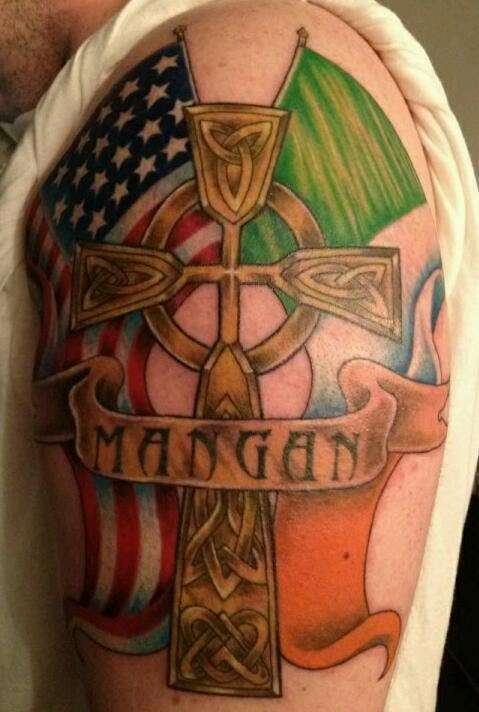 It is an Irish flag and an American flag with my fathers Celtic cross that he wears around his neck in the middle with my last name across it on the banner.